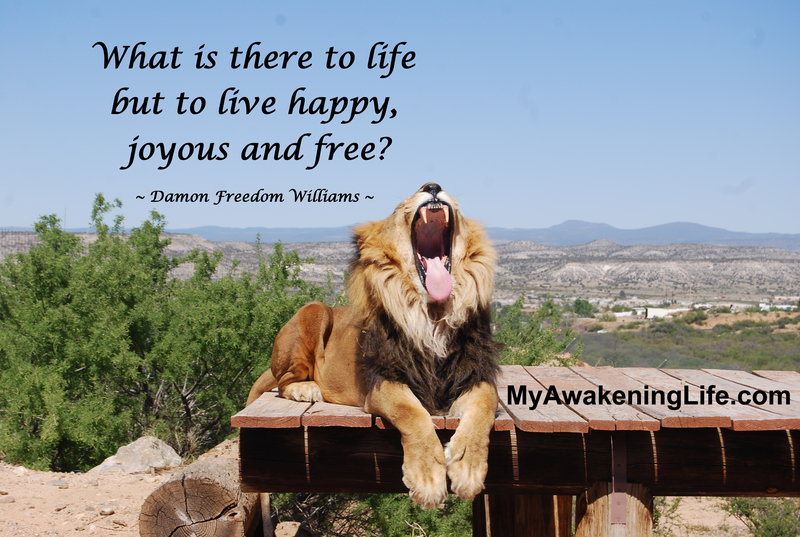 What is there to life but to live happy, joyous and free? Our minds are a wonderful tool but there is a dark side. The egoic mind pretends to be useful, a voice inside our head chattering all day long. At times it tells us that we are unhappy, sad, judging, parenting us. Most of the time we don’t question it. We are programmed to believe our thoughts whether or not they are true or even helpful. While we don’t question our thoughts, most of the time we are busy questioning the thoughts of others. Turns out that the voice inside our head is probably not a good guide to life, yet we do what it says most of the time. It causes negative emotions, anger, feelings of worthlessness and makes us depressed. That could be called the false ego, not the true self that seeks freedom, joy and happiness. It takes practice and meditation to give our attention to our true self, to experience who we truly are: seekers of what makes us truly happy, to be free and joyous. The more we experience joy and happiness, the more content we are. When we are in the present, or the Now, as Eckhart Tolle writes, we experience joy, kindness, love, patience and freedom, which is our true nature. When we put the egoic mind on the back burner, we can live a life filled with happiness, joy and freedom. About the photo: One of the lucky lions at Out of Africa, given a second chance at life. Thank you to my dear friend Damon Freedom Williams for his words of wisdom.